Here is the best way to get into the Christmas spirit! 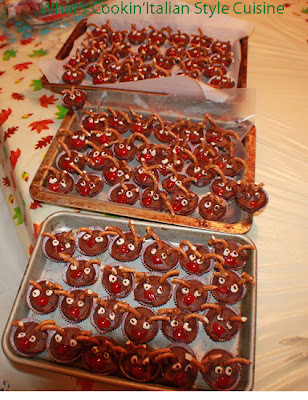 Make Reindeer Christmas Cupcakes! I know these seem a little odd but nothing better than to get you in the Christmas Spirit. 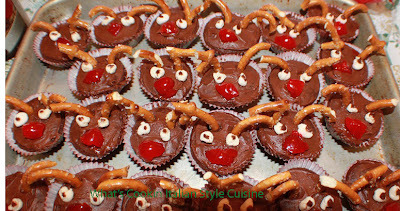 Everyone loves chocolate cupcakes, so we give you Reindeer's gone wild! The office party was a big hit with these. I am sure someone you know will love them too. Nothing hard about them. You can do a cake mix and store bought frosting. 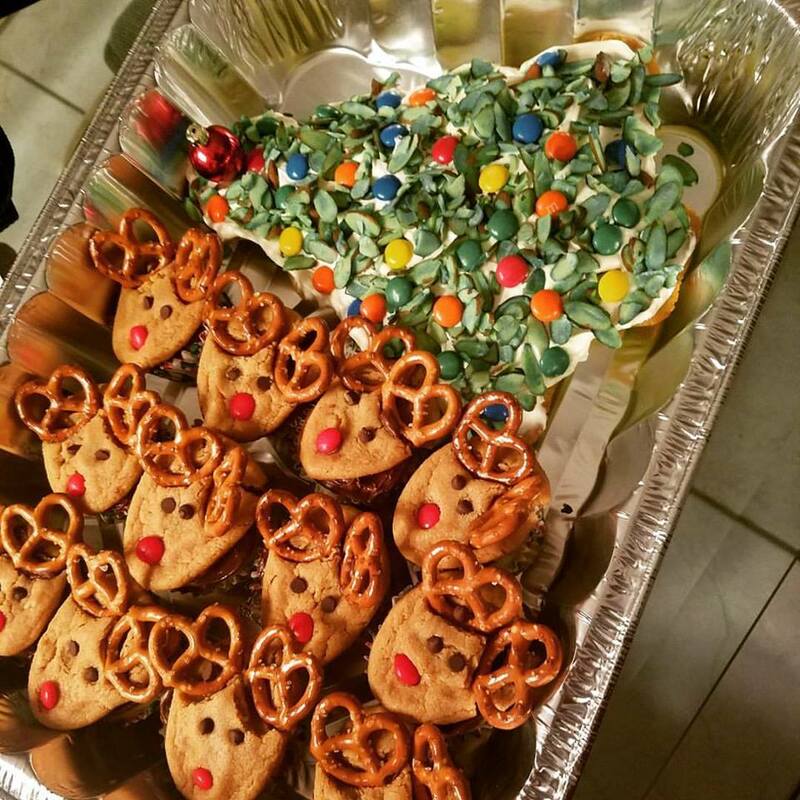 All you need is pretzels, marshmallows and maraschino cherries. Rudolph at his finest hour! Pour the cake mix into a bowl and add the eggs, mayonnaise and water. Beat with an electric mixer until well blended around 3 minutes. Pour into paper lined cupcake tins. Bake until middles are set and toothpick comes out clean. Around 20 minutes. Frost with canned chocolate frosting. 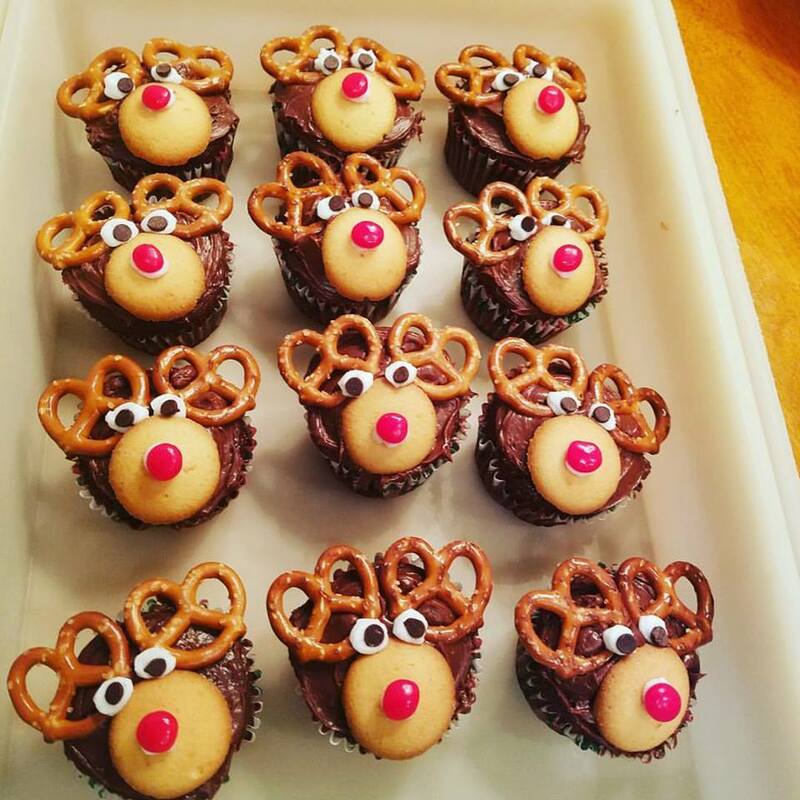 Use broken pretzel pieces for antlers. Mini marshmallows cut up for the background of the eyes. Add the cherry pieces for the nose. Place 1/3 cup frosting in a zip lock bag snip off the end slightly. Use to pipe eyes onto marshmallows. These freeze well and can be made ahead of time for all your party and entertainment needs! What do you mean put a smile on your children's face, they made me smile. I love that you go all out even though our kids are gown. These cupcakes are awesome. So easy and so adorable. Can't get any more festive.